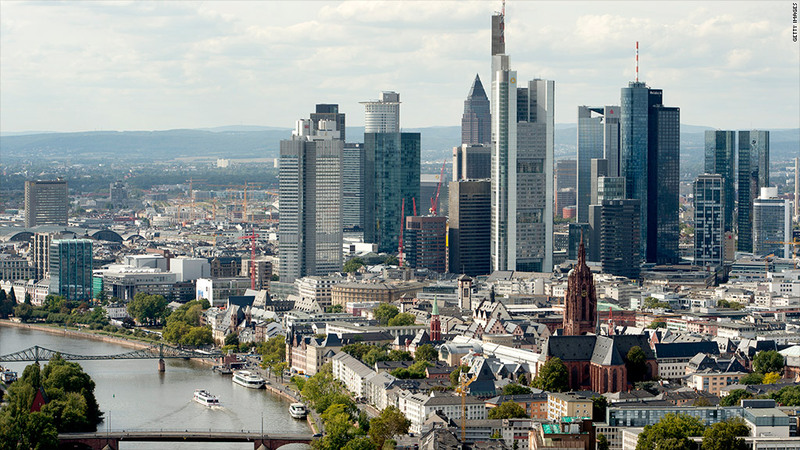 Frankfurt, Germany's financial capital, needs its banks -- and those in the rest of the EU -- to take further steps to repair balance sheets. Europe must do more to shore up its banks and take steps to create a banking union to protect itself against future financial shocks, the IMF said Friday. In its first assessment of the soundness and stability of the European Union's banking and insurance sector, the IMF said much had been achieved in response to the financial crisis but more forceful action was needed. "Financial stability remains fragile," the IMF said, noting that the region was still vulnerable to shocks that could stem from lower-than-expected growth or a renewed loss of market confidence. "These vulnerabilities are exacerbated by the high degree of concentration in the banking sector, regulatory and policy uncertainty, and the major gaps in the policy framework that still need to be filled." The European economy is still feeling the pain of the financial crisis. Eurozone gross domestic product is set to contract for a second consecutive year, its banks are weighed down with bad debts, and governments are struggling to put their finances on a sustainable footing. Banks have been repairing their balance sheets by raising new capital and shedding assets, the European Central Bank has enhanced liquidity with unconventional monetary operations, and EU leaders have agreed to create a single eurozone regulator under the auspices of the ECB. Those measures have helped restore confidence in European assets -- equity markets have rallied and yields on government bonds issued by weaker eurozone states have fallen sharply since last summer. But the positive sentiment has yet to feed through into the real economy, in part because the banking sector is still hobbled. The IMF said EU states needed to take urgent action to complete the repair of bank capital this year, including addressing the issue of bad debts, and to make sure the launch of the single banking regulator in 2014 was accompanied by the creation of a single mechanism for winding up failing banks.